Lucky Little Gods is a 243 ways-to-win online slot by Microgaming, playable by staking 30 coin bets per spin. 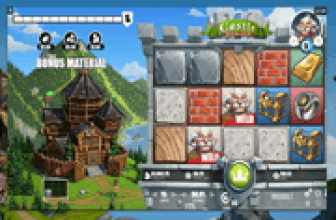 A player's choice of monetary value to assign as coin bet is essential since this game has four (4) Scatter Bonus Features. Scatter Rewards, after all, are bonuses based on the current Total Bet. Three (3) of the Bonus Features are random base game events, while the fourth is an extra facet of the Free-Spins Bonus Round. In this Asian-themed betting game, a single Scatter can bring on high-value rewards. There is a Golden Tree Scatter that drops coin rewards ranging from 1x to 15x the Total Bet. If the Little Gods Bonus sets off arbitrarily, rewards can go higher; from 4x to 10x the Total Bet. The highest Scatter Pays come from the Treasure Pot Symbol, with its bonuses ranging from 20x to 100x the Total Bet. Icons displaying a Pair of Firecracker can set off Free-Spins, as well as award Scatter Bonuses. Four (4) images of Lucky Little Gods come around as high paying symbols. The Red Little God awards a cash prize equal to 100x, 250x, or 1500x the coin bet value on 3, 4, or 5 that converge consecutively from the leftmost column. The Green Little God is not far behind with its Paytable Values of 50x, 100x, or 1000x the coin value. The Blue and the Brown Lucky Little Gods award pays ranging from 5x to 500x, also on 3 or more one-of-a-kind images aligning as winning combo. The Lucky Little Gods Logo is the Wild Symbol, plain and simple. No base game special attributes, except in the free round in which it appears as Sticky Wild Reel from start to finish. This base game event may happen via any spin. When a Golden Tree lands anywhere across the 5-reel grid, bonus prizes will be awarded. The Golden Tree image showers down gold coins, with values ranging from 1x to 15x the Total Bet. Even more awesome is that the feature duplicates the coin reward, or even triples the pay ,if there are 2, or 3 symbols below the Golden Tree. This random bonus sets off via images of two (2) special Little Gods. However, they tend to land on reels only after a non-winning spin. Be on the lookout for a Pretty Chinese Girl and a Monkey Mascot, as they bring instant bonuses ranging from 4x to 40x the Total Bet. The Treasure Pot Icon emerges only in Reel 3. 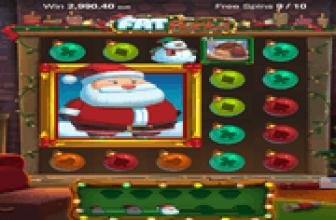 Once in view, players have to click on the Treasure Pot to release a random prize, ranging between 20x and 100x the Total Bet. A base game spin that produces three Firecracker Scatters in any row or reel, initiates launching of eight (8) Free Games. A Scatter Reward equal to 2x, 10x or 50x the Total Bet will be granted; but only on the longest grouping of Firecracker Icons triggering this feature. The entire set of free games cannot be activated anew. Still, every Firecracker Scatter appearing as outcome of a bonus spin, awards one Extra Free-Spin. The bonus round then plays on a grid in which Reels 1 and 5 display full-reel Wild Symbols, from start to finish of the free bout. 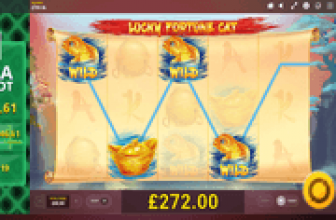 Lucky Little Gods online slot awards special Extra Pays via four types of Scatter Symbols. One is a Golden Tree that showers coin rewards, which double or triple if there are symbols below the Tree Scatter. Another is a Treasure Pot that awards Scatter Pays by just clicking on the icon. Images of special Little Gods may appear after a non-winning spin, to instantly award a random cash prize. The most rewarding Scatters are the Firecrackers, since they not only grant Scatter Pays. Firecracker Scatters can activate the Free Round that plays on reel in which Reels 1 and 5 display Wild Reels throughout the entire bout.